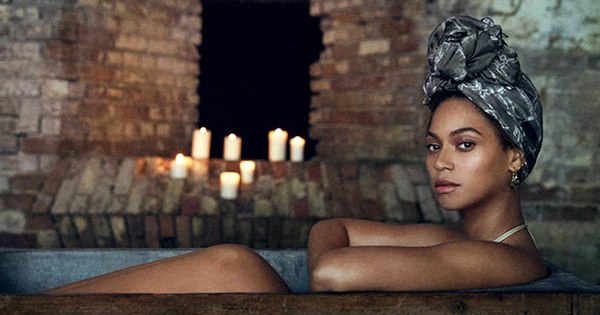 Beyonce Releases a $300 Coffee Table Book and Box Set -- And Its Selling Out Everywhere! Beyonce has once again proven herself to be an innovative artist and entrepreneur with the recent release of a box set that compliments her Lemonade album which sold 2.5 million copies when it was released in 2016. While some may be infuriated that its priced at $299.99, hundreds of thousands of fans have already purchased it and love it. It's called the How To Make Lemonade Box Set, and its a momentous tome and comprehensive look at Beyonce’s Lemonade journey. The box set gives unprecedented insight into the making of her award-winning Lemonade album, with a numbered, collector’s edition coffee table book, double vinyl LP, and audio and visual album downloads. The expansive 600+ page hardcover book includes hundreds of never-before-seen photos from the making of Lemonade, and shows the inspiration and themes behind some of the film’s most provocative and cryptic moments. The foreword is written by Dr. Michael Eric Dyson with poetry by Warsan Shire. Beyonce's personal writing and lyrics are interwoven throughout the book. The box set has already sold out on Beyonce's official web site, but a limited amount of copies are still available on Amazon.com. And, nearly all the review are positive. One fan said, "I was impressed by the size and quality of this box. It's a must have for all art lovers! a word to describe: Perfection." Another fan commented, "It's a masterpiece. I just got mine and it looks amazing! It's huge! It's a collector's item so definitely worth it, the pictures are so beautiful." And yet another chimed in saying, "Worth the wait! Visually stunning. The vinyl also includes digital versions of the album and film. Very, very happy with this purchase." Beyonce has been a successful woman entrepreneur for years. In addition to selling millions of copies of her albums and selling out on her world tours, she is also the founder of NYC-based Parkwood entertainment - which produces and manages her music, motion pictures and television specials. She is also the founder of Beyonce Parfums, which has sold millions of bottles and box sets of her branded captivating fragrances. She is also rumored to be seriously considering buying the NBA's Houston Rockets.